If North Korea agrees for the meet, it would be the first after the South Korean delegation's meeting with Kim Jong Un earlier this month. Seoul: South Korea will seek high-level talks with North Korea this month as preparations for a summit began on Friday, the presidential chief of staff said, while officials in the South expressed interest in a separate summit with the United States. If North Korea agrees to the talks, they would be the first North-South contact since a South Korean delegation returned from a meeting with North Korean leader Kim Jong Un this month and a chance for North Korea to break its silence on promised engagements with the South and the United States. The talks about talks come after the head of the US Pacific Command said the United States could not be overly optimistic about the outcome of any summit between US President Donald Trump and Kim, aimed at ending the North's nuclear and missile programmes, and must go into it with "eyes wide open". Admiral Harry Harris told the US Senate Armed Services Committee he believed the United States would stick to its demand for the "complete, verifiable, irreversible denuclearisation" of the Korean peninsula. Officials of the two Koreas will discuss key agenda topics and other matters related to the pending summit between South Korean President Moon Jae-in and Kim, Moon's presidential chief of staff, Im Jong-seok, told a media briefing. "We've decided to narrow down the agenda topics to denuclearising the Korean peninsula, securing permanent peace to ease military tension and new, bold ways to take inter-Korean relations forward," said Im, who is head of the preparation team. 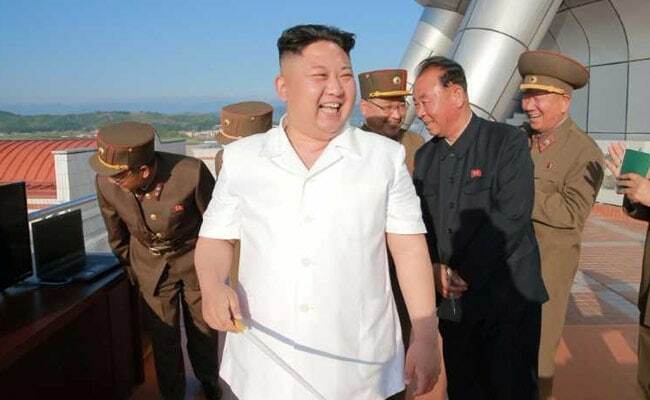 The isolated state has always maintained it will continue to develop its nuclear weapons as a deterrent against US aggression but, according to South Korea, it later said it was open to abandoning the programme if the security of its regime was guaranteed. An exact time and location for the Trump-Kim meeting have not been set. North Korea's state media has yet to comment on the pending summits with Moon and Trump, but Foreign Minister Ri Yong Ho is visiting Sweden for talks with his Swedish counterpart Margot Wallstrom. Ri's trip prompted speculation it could lay the groundwork for the summit in Sweden between Trump and Kim. Chinese state councillor Yang Jiechi is also due to visit South Korea this month to discuss North Korea-related matters. The push for the two summits came after the North Korean leader said in a New Year's address that he wanted to improve relations with the South following a year of heightened tension. A report on Friday by intelligence analysts at Jane's by IHS Markit said satellite imagery from Feb. 25 showed gas emissions from a stack at the North's experimental light water reactor (ELWR), suggesting preliminary testing had likely begun.